Details of the outfit worn by the Duchess of Sussex yesterday have emerged – some 24 hours after the surprise solo engagement. 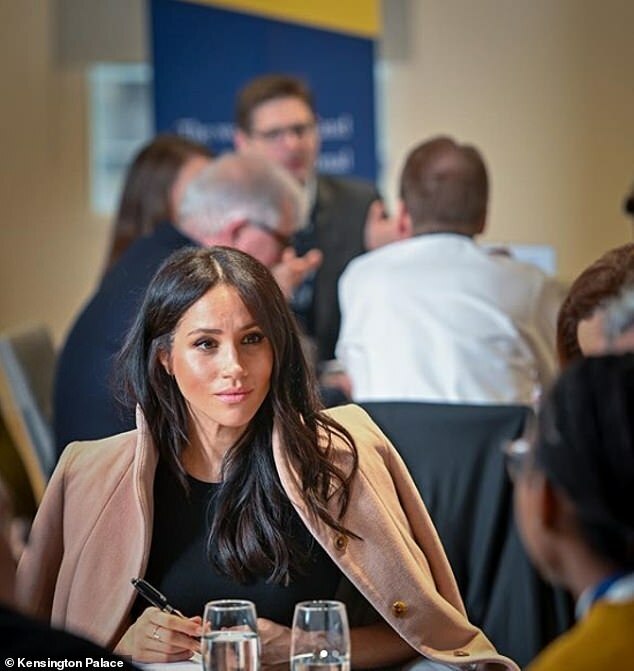 Pregnant Meghan, 37, made an unannounced visit to King’s College London to join academics for a round table discussion on the value of higher education in tackling global issues. Limited photos of the event meant royal fashion fans struggled to identify the chich outfit worn by the Duchess – but they have now been revealed. 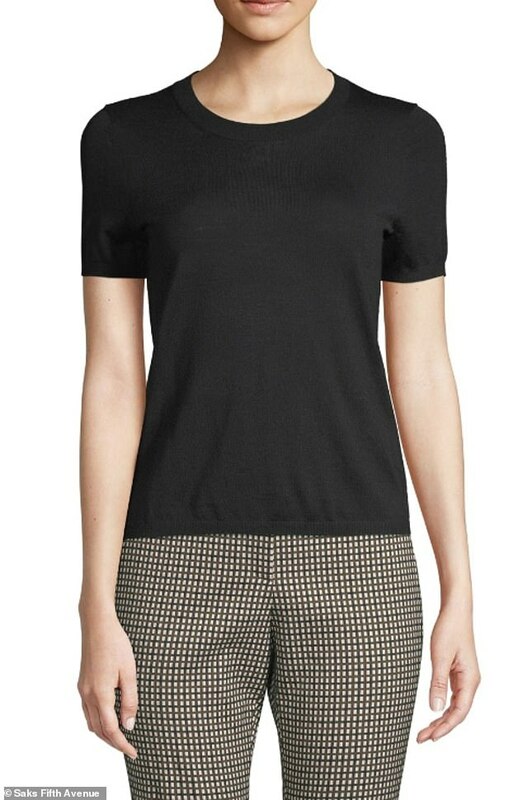 The mother-to-be, who is expecting her first child with Prince Harry next spring, sported a £82 ($105) short-sleeved knit sweater by Hugo Boss for the engagement. 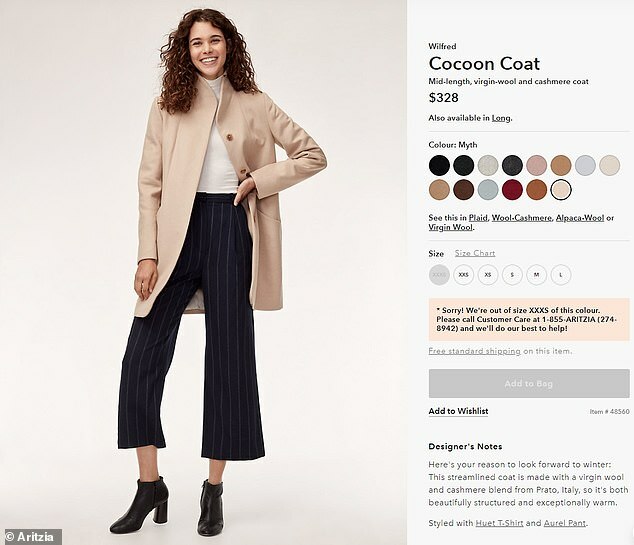 She teamed the piece with a £257 ($328) pink cashmere coat by Canadian label Aritzia, a go-to brand she has worn on a number of previous occasions. 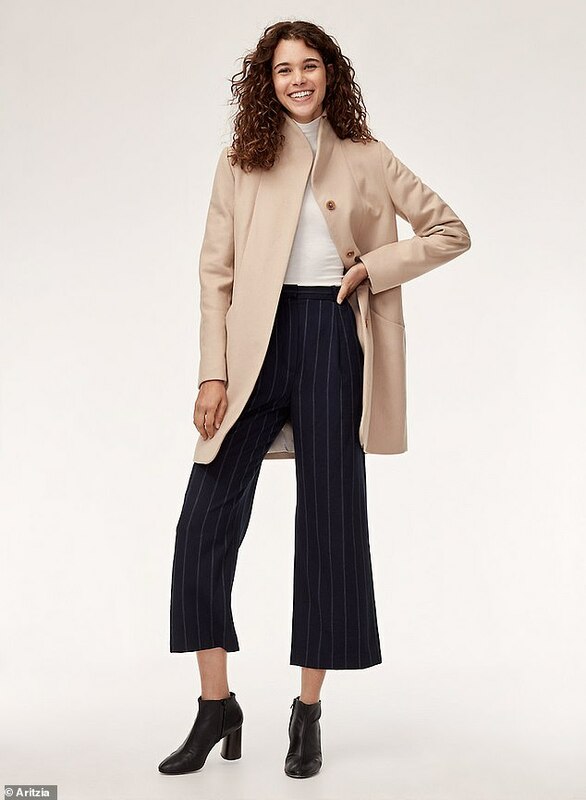 Meghan wore the Cocoon Coat in Myth, a very pale blush pink colour. The coat featured stylish tortoiseshell buttons. The royal kept her accessories to a minimum but appeared to be wearing the $70 (£54) ‘jamie love ring’ from LA-based jeweller Meredith Hahn. Meghan, a passionate proponent of the importance of education, looked ready for business as she sat down with academics for the meeting, jotting down notes in a notebook. 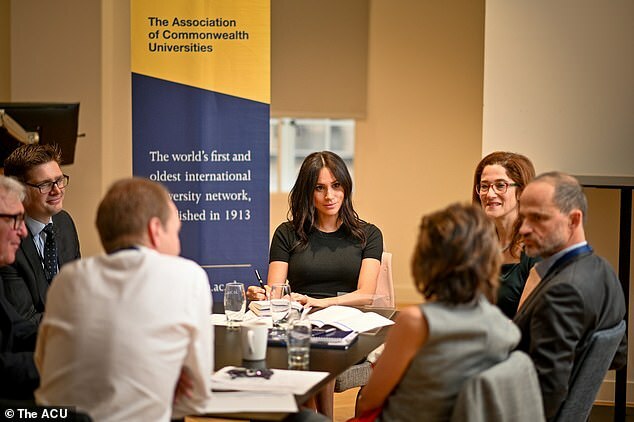 Meghan’s attendance at the meeting of The Association of Commonwealth Universities (ACU) was not publicised ahead of time. Her tweet was shared alongside a photo of Meghan, sitting at the head of a table and looking engaged as another attendee spoke. The ACU said the event was an opportunity to explore how higher education can help build a better world. Discussions focused on the role of universities in addressing human trafficking and modern slavery, gender equality and inclusion, peace and reconciliation, and climate change and resilience. The event follows her speech to students at the University of the South Pacific in Fiji in October. Meghan spoke at the time of her struggle to finance her higher education and her ‘personal feeling of pride and excitement’ when she studied for her degree. She described the education of women and girls in developing countries as ‘vital’, and called higher education’s impact ‘incredible, impactful and pivotal’.